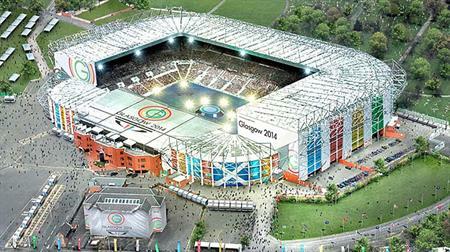 On 23 July 2014, Glasgow will be buzzing with activity as the 2014 Commonwealth Games kicks off. Public events are already being held in the city to mark the one-year countdown, including a cycle challenge and a breakfast of champions event. With just 12 months to go, C&IT spoke to events professionals about where they will be and what they will be doing one year from now. Matt Hocken from Pitch, which is handling communications for the Commonwealth Games, said: "On this day next year, the Games will be launched with an opening ceremony at Hampden Park, which is where the athletics will be taking place. "We cannot reveal anything about this at the moment. The major event this year will be the Queen's Baton Relay around the 71 commonwealth nations, which begins in Scotland in September with a cultural festival alongside it." Ben Goedegebuure, director of sales at the Scottish Exhibition and Conference Centre, said: "Planning for the games is in full throttle. The SECC and The Hydro will be at the heart of the games as it will be the location of both the media and broadcast centre and we'll be hosting the gymnastics, netball, weightlifting and much more." ATP Event Experts, part of the ATPI Group, was recently appointed to manage travel and accommodation spectator packages for the Games. The ATPI Group's Jeroen de Roever said: "We will be offering corporate packages and organising pre and post tours including whiskey tastings and trips to the Scottish Highlands. There is a lot of interest in Glasgow off the back of London 2012. We will be facilitating access to tickets to make it more accessible than London, with prices starting from around £15 each for the public." Neil Pace, head of UK event operations at ATP Event Experts, added: "I’d encourage anyone who is organising an event before, during or after the Games to make the most of being in Scotland and Glasgow. Glasgow itself is an amazing city – it definitely surpassed any of my expectations. "My advice to event planners is to be flexible. It’s the same for any large event but you need to be flexible in terms of your expectations – the Games is very fast moving and things can change quickly so event bookers and organisers need to be aware that they have to adapt around it." Many UK event agencies including George P Johnson, Grass Roots and Smyle do not have any involvement in the Commonwealth Games at the moment. Smyle's managing director Rick Stainton said: "I went to Glasgow 18 months ago on a fact-finding mission and, although we'd love to be involved, it has not been a priority focus. It was clear that the activity surrounding the Games would be lower and budgets would be lower too. We may have a few tie-ins with venues and work with potential clients from this autumn, but nothing planned as yet." A recent report has shown that the industry is already worth £1.9bn a year to the Scottish economy and, in 2014, Scotland will also host the Ryder Cup and Homecoming. Mike Cantlay, chairman of Visit Scotland, said: "In 2014, it is our chance to shine before a global audience. With the opening of venues such as the Hydro Arena – an expansion of the Scottish Exhibition and Conference Centre in Glasgow – and the Emirates Arena, our country will show that its facilities are truly world-class." C&IT also spoke to agency and corporate event planners involved in the London 2012 Olympics about the lessons they learned and advice they would give to those involved in Glasgow 2014. Click here for Commonwealth Games: Lessons from London2012.